Approx. 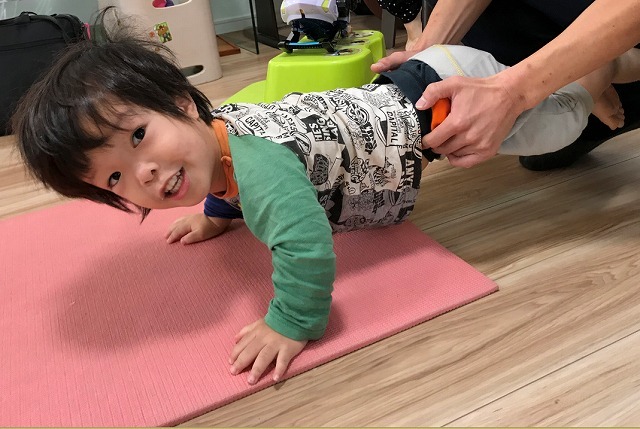 two and half years have elapsed about physical therapies ALPE foundation recommends for children with achondroplasia. Through our experience, we have found that it is effective not only to strengthen muscles, in addition to suppressing complications such as bone distortion and obesity, but also to improve the weak constitution such as common colds and infectious diseases. Refer to the following examples of our trial and error that we have experienced for the years. 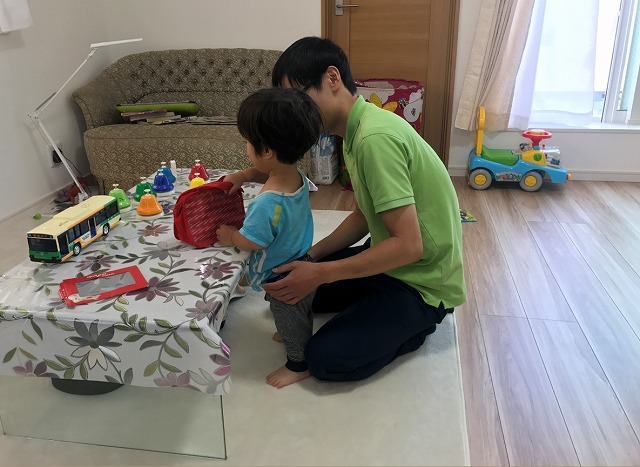 At the time of the first treatment to be done by others, at the time of my 3-year-old child there was a big difficulty even in a short time of 30 minutes, and he was often unable to concentrate. 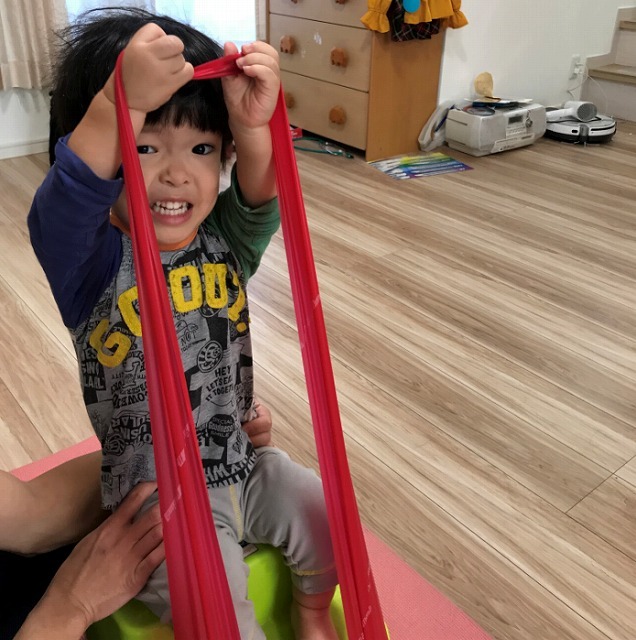 He was not able to start with a program that parents want, such as muscular strength training, so we started with a program at a level that promotes body growth that incorporates game sensation and reaches reaching things that are hard to reach. It focused on the stimulating vitality. When we got accustomed to practitioners at the time, living in a new environment began due to the move. Fortunately, there is encounter with a new practitioner soon, then long the relationship will continue for a long time. 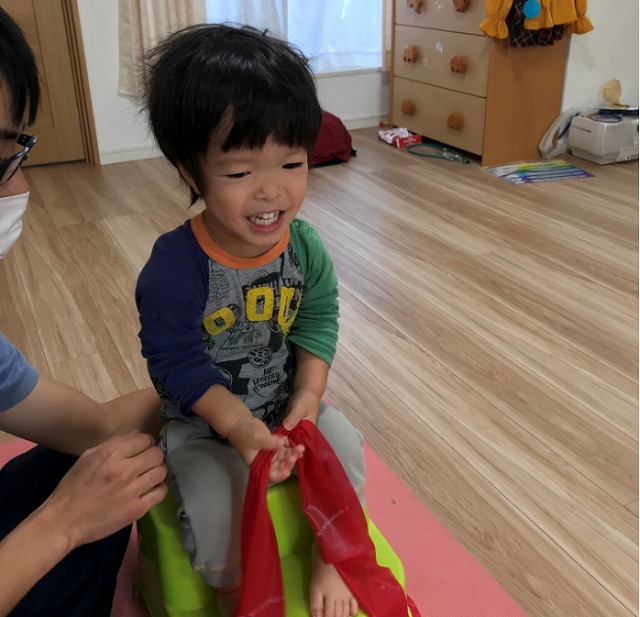 When he was four years old at the time, in addition to the distortion of my body, the physical strength difference with his classmates was about to begin to appear clearly. 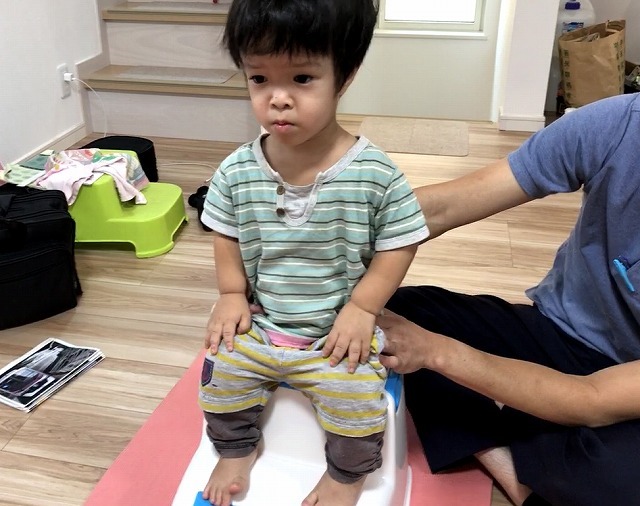 For this reason, we hoped for an early remedial program, but based on the advice of the practitioner that it should not be torn down in the middle, in starting action to put a load on the body, both sides understand the achondroplasia and It took time to build a relationship of trust. Later curvature, which is a typical example of the body’s distortion with achondroplasia, is such that the muscles of the lower body are solidified, that is, it is difficult to move public relations in a normal state where the legs are extended, such as gluteotus muscle and iliopus muscle. It will be caused by solidification. It was need a program to stretch out these loose muscles and loosen them. It is not a work to expand the operation area, but a long-lasting patience is needed to maintain the extended state for a while. 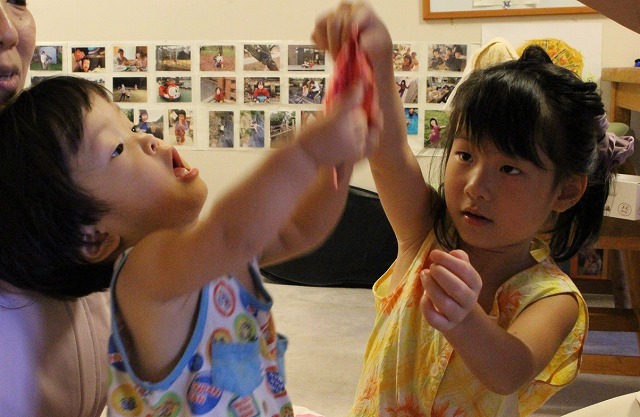 For children, it was a very hands-on condition, so we needed a lot of ingenuity to distract our children. 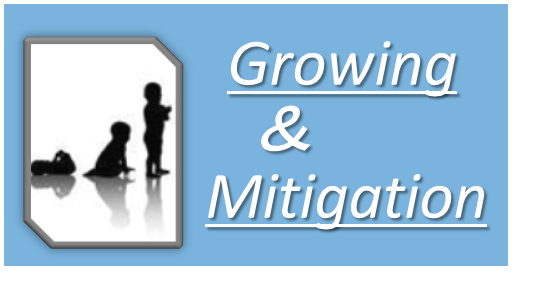 We parents also got a lecture and observed progress on bone distortion / muscle nonuniform attachment etc and attached knowledge. We also understood that the pelvis / hip bone could not be moved well. In order to improve the warp waist, we added confirmation of motion and corrective action from various angles, but initially it was difficult to add force as I expected, and he often showed us the awkward expression to us. 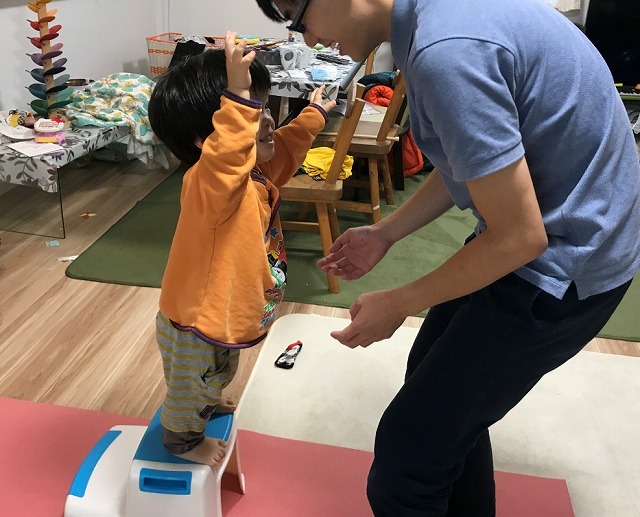 It has been found that it is important to accurately determine the position of the foot with less load on the waist in order to make trial and error over time and to make natural movements. Several months later, the pelvis has become flexible. He was pointed out how to put a heavy burden on the knees, and it was a program that we took in the place that we could not rectify easily. 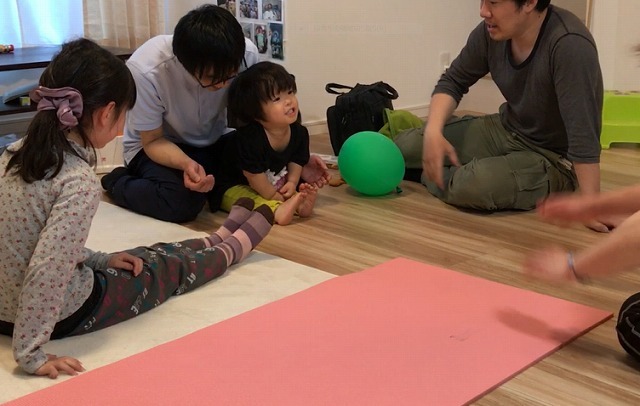 Put the center of gravity on the toes and practiced how to stand with the ankle joint. After about a half a period of time, it has become possible to start / get up smoothly. 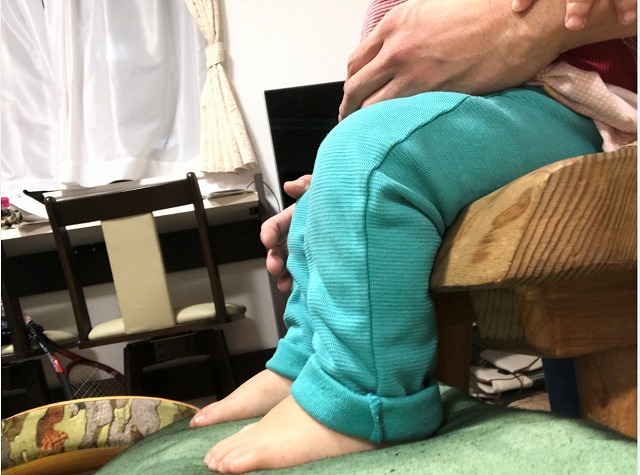 Patients with achondroplasia tend to walk while turning their legs on both sides, although the bow-legs are seen from the early childhood. In order to practice walking in a straight line to correct this tendency, we made a ring with a string and devised a way to do normal walking. 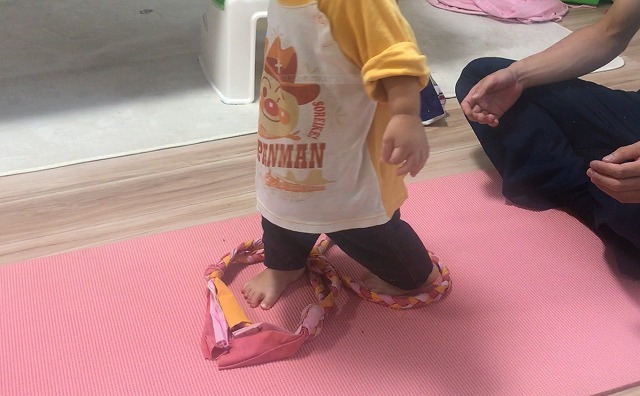 In order to walk straight for a long time, he need muscles to keep his feet straight and upright. We are doing training using rubber strings. Ideally it is to raise it straight, but first of all I prior to get accomplished with a sense of accomplishment and rewarding. Although the movement of the waist became better, we started training the abdominal muscles in response to the fact that the correction of the back lord does not proceed. Maintaining the push up attitude is the most fundamental method, but at that time, a phenomenon occurred that encouraged the warp waist due to insufficient abdominal muscles. 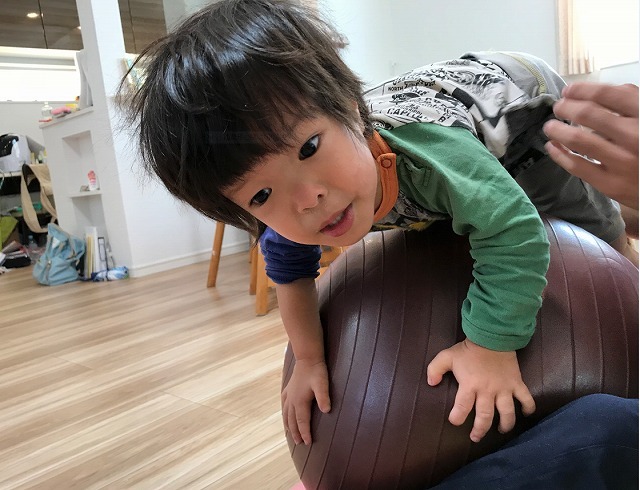 So, on the balance ball I trained in advance to strengthen the abdominal muscles while giving the spine roundness. 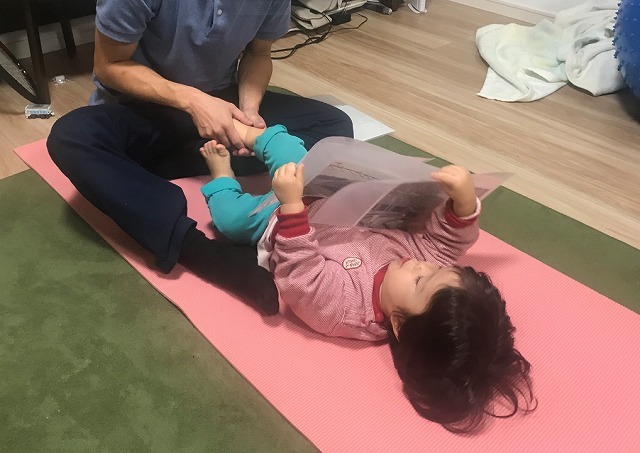 However, this terrain is very painful for children and it is difficult to distract the importance of reading videos and books, so it will not last long. For that reason, we began to adopt a program of game feeling such as breaking balloons with belly. Based on the above experience, I realize that it has led to the correction of bone distortion such as kyphosis and O legs, and the constitution of obesity. Although we can not prove the causal relationship, symptoms such as colds and infectious diseases have not been seen even in the third winter season experienced during this time. 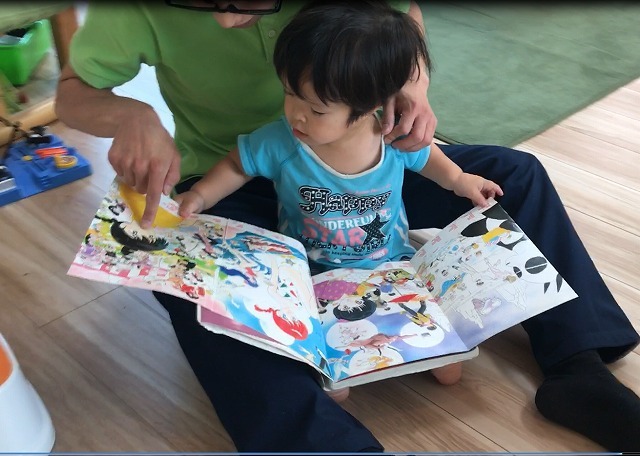 I realize that it is a strong body even compared with other kindergarten. 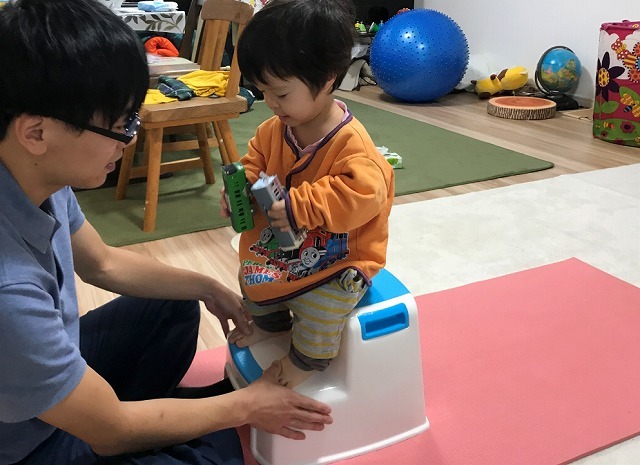 I am sincerely thankful to the teachers who supported me and the therapists.It is a series of activities accompanied by time investment and preparation requiring labor but I would appreciate it if you could refer it as an attempt to support our child’s health. We welcome questions and consultations on this matter.